These are the Snap-In bags for the Torit RF series dust collector, formerly known as the Carter Day RF. The product you see below is the 10 foot bag, in Singed Polyester. We offer the same bags in Glazed, as well as Nomex, and Tetra-Tex. We also have the 8 foot, as well as the 12 foot versions at similar pricing. If you are looking for improved filtration efficiency, better than a 16 oz. polyester can yield, we can build these in the Dual-Density “micro-denier” felt. Give us a call to discuss. These are the 16 oz. Polyester Zipper Bags used on most of the larger Torit Cyclones, including the Cyclone 24, 30, 36, and 44. These bags are equivalent to Torit part # 3EA-11695-02, which is a 16 oz product. These are superior to the 10.5 oz bag # P031831-016-210 in both filtration efficiency, and in service life. These bags are in stock. For the smaller bags used on the Cyclone 12, 13, 16, 19, and 20 please give us a call. 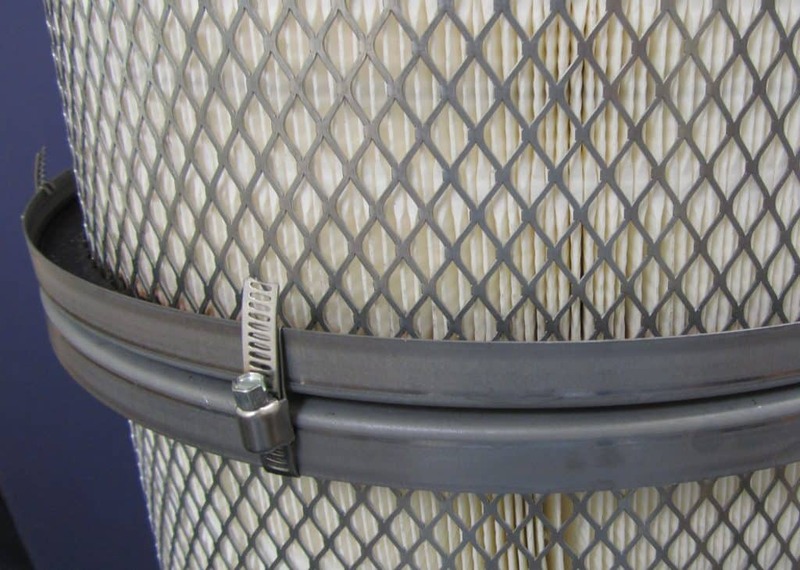 Wynn Environmental offers a wide variety of replacement filters for Farr dust collectors. Please browse your series below, or enter the part number in the Search Box to the right. Please call with any questions. We provide Discount Pricing on replacement HEPA Filters and Final Filters for Aercology, Torit, AQE, Airflow Systems, and others. Our prices on the most commonly used HEPAs are typically 35%-50% below manufacturer’s retail price, and many come from the same production line as the OEM filter! All HEPA Filters and replacement parts are guaranteed to fit perfectly, and to perform as well as the OEM equivalent. All HEPA filters include MIL 282 efficiency scan along with the documentation and test results. Other vendors charge extra for test scanning. Replacement filters for Mitsubishi PLA Series units. Our Mitsubishi filters are manufactured here in the USA under the strictest quality standards, using premium quality MERV 11 microglass filter media. Colorimetric efficiency meets or exceeds the 65% standard. We are very proud of this product. Air flow, filtration efficiency, and filter life are guaranteed to meet or exceed your current filter. Please give us a call to discuss bulk shipments and quantity discounts.